Let’s see if you can guess this movie: There’s a good guy and a bad guy. The bad guy does something bad and the good guy tries to stop him. The bad guy seems to be winning and then in a rather expected plot twist, the good guy gets the upper hand and saves the day. The bad guy gets punished and the good guy lives happily ever after. The answer: Just about every action movie ever made. We all love this type of plot. Who doesn’t love to see the attractive and engaging protagonist that represents our sense of goodness and justice save the day? Who doesn’t love to see the villain who has offended our sense of morality get what’s coming to him? Most movies and stories are intended to end at the happiest point. The hero gets the girl. The victim is rescued are rejoined with the ones they love. Peace and order is restored. The story has to stop there because it gives us our “happily ever after”. No one wants to see the story between the hero and the damsel after that epic kiss at the end of the movie. If the cameras were still rolling afterwards, we might see that the damsel hates the hero’s daddy issues and inability to keep his toenails trimmed. We might see the hero’s dismay when he learns that women, even perfect ones like the damsel, pass gas. We all long for happily ever after and reality destroys it. No one wants to see a farting damsel. And then there’s the villain. He only has a few options in a happily ever after story. He either gets destroyed, imprisoned; or there’s a sequel where he gets another shot only to fail again. And like our hero, the story stops at the villain’s punishment. We don’t want to see anymore after that. We rarely ever see the villain coming to his senses and becoming penitent. We rarely ever see him becoming a good guy and reconciling the damage he’s done in his own volition. 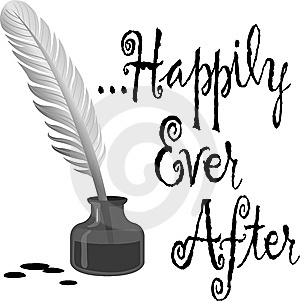 To put it simply: Infinite joy for good guy + infinite punishment for bad guy = happily ever after. Here’s the rub: This model of how we treat the bad guy makes for a great story, but I feel that we Christians use this model in real life way too often – and that’s not very Biblical. From a Christian perspective, there’s two ways to look at God in regards to punishment. One view is that God is some bifurcated, homicidal schizophrenic Zeus figure that would roast us all if it wasn’t for Jesus calming him down. This view is absurd. There’s another view that believes that punishment exists not to satisfy blood lust, but to bring reconciliation and forgiveness. This view believes that punishment has a reason, and that reason is love. Let me put it this way: I punish my two sons whenever they do something wrong. I punish them because I love them. If I never punished them, they would grow up to be horrible human beings and I would be a horrible, unloving father. If I were to punish them to just satisfy my anger, then I would be a child abuser. I punish them out of love. Love and punishment should never be separated. But punishment is often dwelled upon without even the thought of potential reconciliation. When was the last time you saw on the news that someone had committed a heinous crime? Did anger and a need for vengeance flair up in you so much that you wished he would die? Did the hope for peace and restoration for both the victim and the bad guy ever cross your mind? Can we really, in our finite and imperfect judgments, so easily write someone off as irredeemable, that we would make wrathful punishment the end of their story? Or, what if we embraced the audacious optimism that everyone was capable of righting their wrongs; that all were worthy of potential redemption? What if even the most soulless men on Earth still had a spark of humanity that was worth saving? What if we used punishment as a means to correct and bring wholeness instead of a venue for satisfying our anger? It may not make for an entertaining movie, but it just may make for a more beautiful happily ever after.